n00b squad - "Guitar Hawk"
Turns out Harmonix is handing over development of Guitar Hero 3 to Neversoft in order to work on new projects. 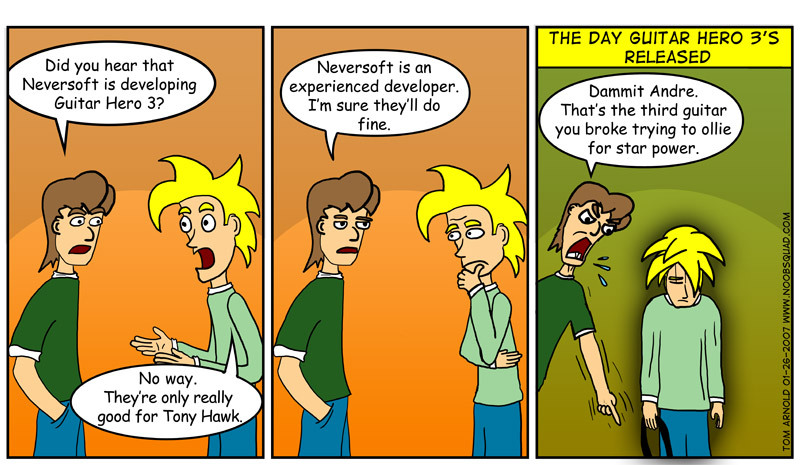 Since the Guitar Hero gameplay is basically set, we can only hope that Neversoft won't stray too far away from the formula. 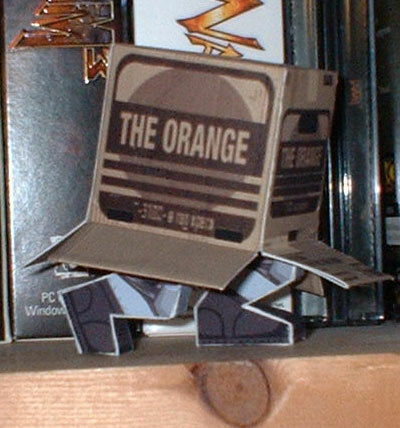 My pal Colin gave me perhaps the most awesome homemade gift ever asides from moonshine: Cardboard Snake in a cardboard box. And here's part 8 of Andre's rumbling epic Mario RPG series.